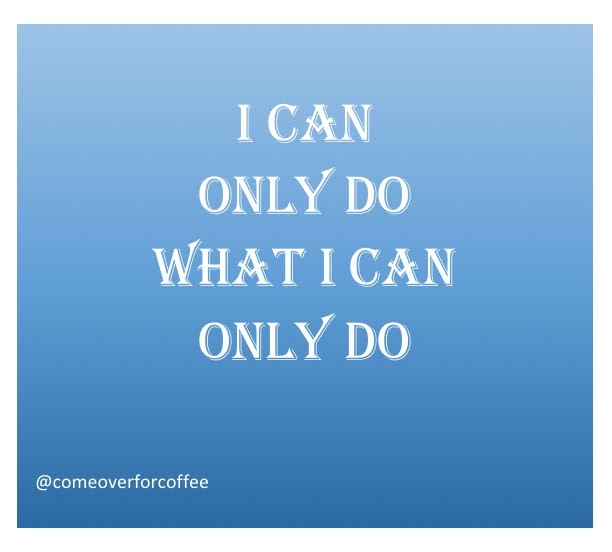 Come Over For Coffee - We'll Talk: We can only do what we can only do! We can only do what we can only do! As women, we are so hard on ourselves! We set the bar incredibly high and then beat ourselves up with guilt when we can’t measure up! Today, I have a new thought for us - how ‘bout we cut ourselves some slack?!? Feel free to share this with a friend who needs to be reminded that her worth is not tied to how much she crosses off her to-do list in a day. We are awesome! 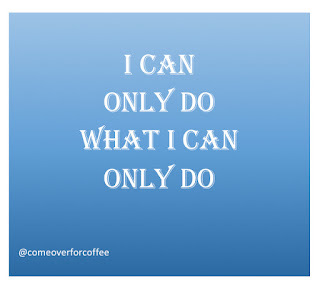 Need a printable reminder for the fridge that we can only do so much in a day? It helps me remember that my worth isn't tied to my ability to get my to-do list all crossed off. Maybe it will help you too. I'm on your team! You are awesome!